Support is offered with taking on a lease, occupying, managing, using and hiring out your building, and leaving your property. This service is of particular value at the different ‘lease events’ such as a rent review; when renewing your lease, when terminating your lease or when your lease expires. We offer an options analysis at these critical points, helping you to decide whether to stay or go, and how to negotiate. We can help you to to get it right in the first place, and to have strategies in place to anticipate potential problems and to manage these effectively. However, you may be dealing with a problem that you have inherited with its origins in the past. 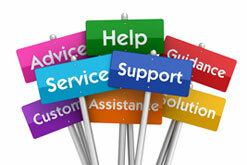 So we also help with managing and solving common crises and problems. We will help you with taking on legal professionals, preparing you so that you can use legal personnel cost effectively. We have links with solicitors with expertise in charity premises, and can negotiate competitive fees. See our recently added legal guidance to the law about building and land especially for charities, voluntary sector and community organisations, developed for us by Russell Cooke Solicitors. We also have links with other relevant professionals, such as surveyors to provide you with a seamless service. We can provide a choice of model leases, licences and hire agreements. This is a complex and important area. It is vital to get things right not just because of the financial penalties and personal liabilities that can arise when mistakes are made, but also because you care about the well-being of the people using your building and take your responsibility to keep them safe very seriously. Provide accredited training in many aspects of health and safety. Building Assets can help you ensure that you are you keeping your electronic records and data safely and that you are staying on the right side of the Data Protection law. We can also review your compliance with other important laws – e.g. employment law, licences for e.g. music, food hygiene legislation, etc., and develop plans to help you to become compliant and conform to best practice. We can help you to stay on the right side of the law to avoid the costs, the damage to your reputation and the sheer time and trouble getting things wrong can cost you.